Sorry, it’s not my genre. It’s not my genre, but I really liked it anyway. Man, that was a real page turner! I’m not losing sleep over the first group. In fact, I use the word group loosely here – that was one person! The second group is great to hear, and that included several people. But most of my beta readers, book blurbers, and editors are genre fans. Their response has been overwhelmingly the last answer. Page turners are good. They’re fun to read. It’s a great complement from your readers. But most of all, page turners sell. People enjoy books that they don’t want to put down. And – here’s the real magic – page turners make them want to buy the sequel, too. This is how binge readers are born, and binge readers are where the money is. 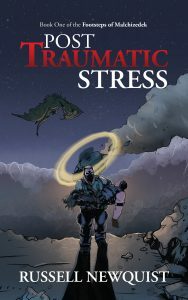 Believe it or not, the “page turner” aspect of Post Traumatic Stress is mostly intentional. It’s technique that you can learn, and today I want to teach some of that to you. Chapters are half the secret to a page turner. Since you were probably an avid reader before you became a writer, think about it from your own perspective. How many nights have you lay in bed reading and thought, “I’ll just read one more chapter?” As a writer, this is exactly the thought you want to convey to your reader. Chapters are the natural “break” point for a book. That’s where your reader will put it down – if you let him. So don’t. It’s easier for your reader to accept that one last (OK, it’s really for real the absolute last one this time!) chapter… and then to do it again, and again. This is especially true for Kindle readers. You can adjust the display on your e-reader device. Mine is set to tell me how many minutes (at my reading speed, calculated by the device) I have left in the current chapter. When I’m reading at 1AM (which happens rather a lot), it’s easy for me to look at a five minute chapter and say, “OK, I’ll just read that one.” But when I’m reading after midnight and I see a twenty minute chapter? That’s when I put the book down and go to sleep. Be the page turner. Keep your chapters short. My average chapter length for Post Traumatic Stress is 1450 words. That’s only two manuscript pages, and only about a half dozen book pages. Bonus tip: Try to keep each chapter to one “scene.” This will help you keep the chapters shorter and more tightly focused. But don’t slave yourself to this rule too tightly. Some scenes won’t be long enough to flesh out even a short chapter. Even so, try to keep them related. My first draft of Post Traumatic Stress had one scene per chapter. In the second draft, I ended up cutting several chapters in half and merging them together. So now I have about 2-3 chapters that have two scenes rather than one. Still, the scenes tie very closely together, which is why I did it (that, and individually each scene was longer than it needed to be). Tomorrow: how to ensure your reader desperately wants to start the next chapter. Congratulations 2017 Silver Empire Dragon Award Finalists!